Do you have a niche blog that delivers information about a specific industry? If yes, you may also know that converting a niche blog into a review site or adding a review section to it can influence your business growth. Also, there are multiple SEO benefits attached to a “review site”. Even if you do not have a niche blog and planning to create a new one, this article will help you to create a review site. How to Create a Review Site? Let’s see it this way – when you plan to buy any product, what the first thing you do? Just like the most of us, you go online and check the review of that particular product and many other similar products. It will not be wrong to assume that review sites drive much traffic and the review site owners earn thousands of dollars on a monthly average. 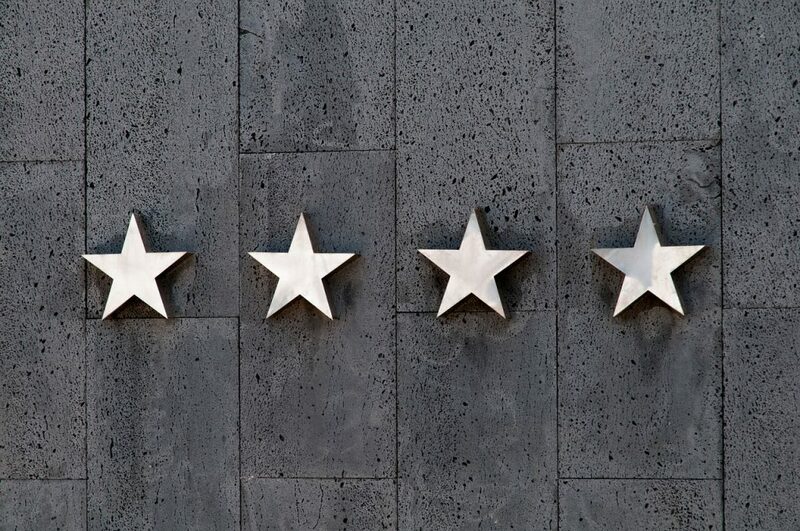 There are two most popular methods of creating a review site. Either you can set up a review section to your active niche blog, or you can set up a completely dedicated review site online. It is recommended not to select a highly competitive niche if you are just a beginner. Do a complete research and choose a niche. Use tools like SEMrush, Ahrefs, Google Keyword Planner and relevant product forums for this research. Your secret recipe to create a money-making review site is to give the visitors information unavailable anywhere else. Do not select a niche that you do not feel passionate about. How do you approach advertisers? Which affiliate program you should select? How are others making money with this niche? Once you are done with all the research work and decided the niche topic, you need to look for a good website hosting service. Bluehost is the most recommended hosting provider for WordPress. However, if you want to go for any other hosting provider, make sure you check all the reviews. The WordPress CMS is the simplest way of creating a website, as it provides highly customizable themes and plugins for all your needs. To create a pro review site on WordPress, you do not need any technical knowledge. All you should do is get a good review theme and activate it through your hosting plan. 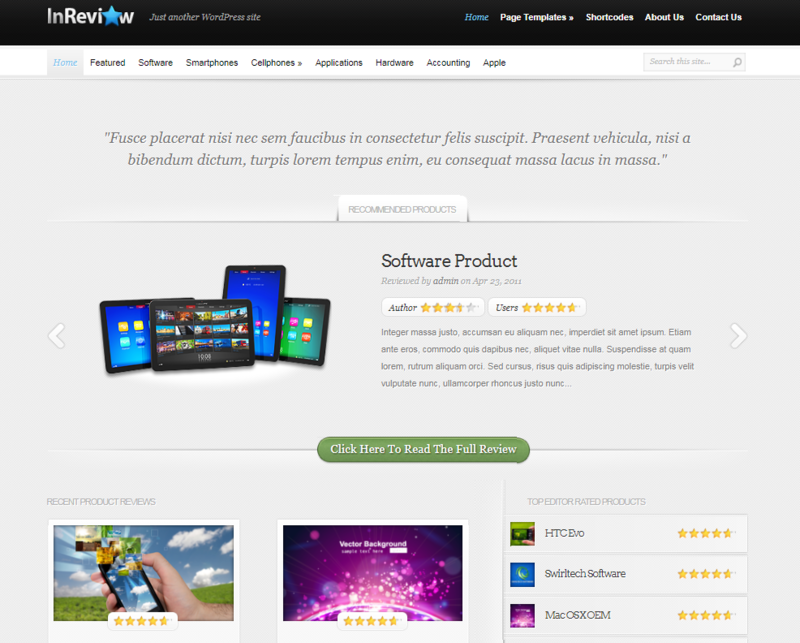 Whether you talk about looks and features or you talk about technical integrations, my ever first recommendation for you would be the ProReview WP theme. The only shortcoming of this theme is missing schema.org support. Some of the top features of this theme are a mobile-friendly interface, customizable widgets, advanced search options, Google rich snippet, MailChimp support and social login. This theme allows both author and guest reviewers the support of unlimited colour schemes, 600+ Google fonts and options for slug rewrite. Swagger is a 100% responsive WP theme, beautifully designed with top Blvd framework to give the best in industry review site integration. This theme is quick to install and integrates with the top-rated plugins of the industry. Some of the top features added to this theme includes unlimited widget areas, lightbox integration, portfolio options, amazing shortcodes and WPML support. 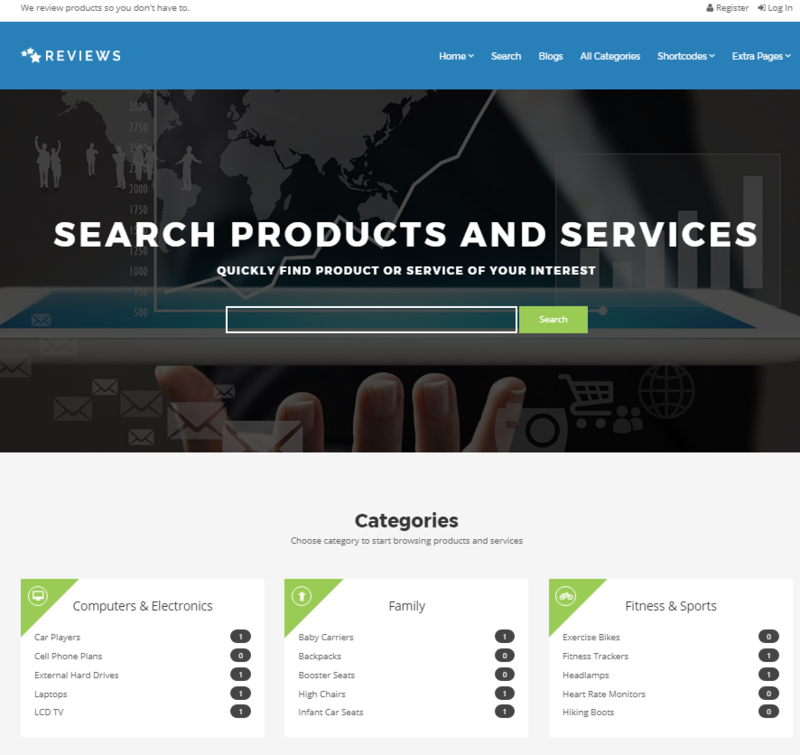 One of the most advanced WordPress themes, InReview can easily transform a simple WordPress blog into a fully-functional online review site. InReview is highly appreciated for its perpetual updates, secure and valid code, multi-browser compatibility, user rating system, affiliate integration, localization and unparalleled support. Also, you can find more WordPress review themes here. If you have already selected the WP theme for your review site the next obvious step to do is, “INSTALL AND ACTIVATE”. However, make sure your theme gives your site a perfect balance between technology and design. Also, make sure the theme you choose is trusted and free of bugs. Therefore, unless the theme is officially available for free, always get the paid/premium version because you get unlimited support and authentic themes. WordPress is a smart platform that offers a plugin for everything. Address your needs, read the information provided with the plugins and select the one that best suits your needs. One of the best among all WP review plugins is the WP Product Review plugin. This plugin offers many useful options like custom rating icons, shortcodes, comparison table, Amazon integration and product review listings. Once your theme is installed and activated in coordination with your review plugins, you need to move to the Settings section. By now you will be able to see some changes in the menu on the left of your dashboard, labeled as “Product Review”. Click on it, and you will be navigated to the “Settings” page. Go to General Settings >> Position of the Review Box. Select where you want to display your review box. Then move to the “Show review comment” and select whether you would like to allow your visitors to set their review as comments. If you select “Yes”, you will have to select the level of review influence in the next step. If not, you will not have to edit “Visitor review influence” section. 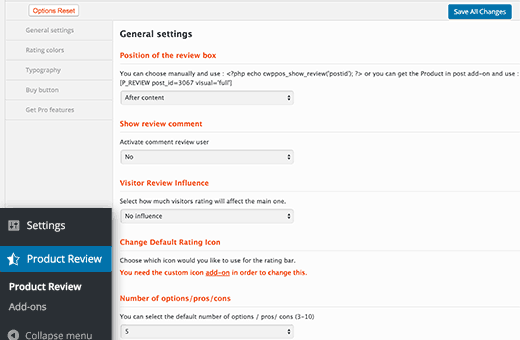 Now, choose the default rating option, and your review site is ready to use. In case you want to customise the designing options of the plugin you can do that under other tabs like Rating colours, Typography and Buy button. Everything is ready. You can start adding your first review to the site and edit it as per your preferences. You can also add some latest products widgets that can complement your site. You will just have to add the widget to your sidebar and adjust its options.